AutoCAD is the world leader among solutions for 2D and 3D design. Being more visual, 3D modeling allows you to speed up design work and release documentation, share models and develop new ideas. Thousands of add-ons are available for AutoCAD to meet the needs of the widest range of customers. It's time to design a new way - the time AutoCAD. 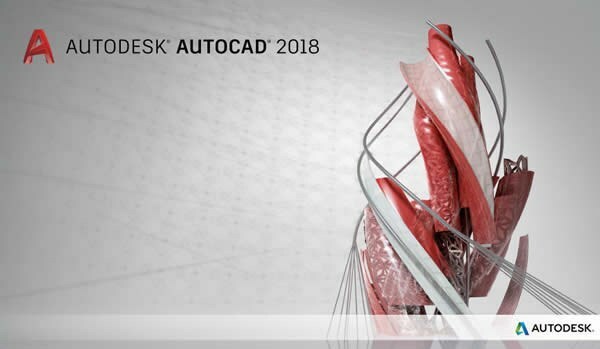 AutoCAD 2018 allows you to solve the most complex design problems. By means of creating arbitrary shapes, a wide variety of bodies and surfaces are modeled; project verification time is significantly reduced; parametric drawings help keep on hand all the necessary information. Project ideas can be visualized in PDF format, as well as implemented in layouts, obtained through 3D printing. Not even when ideas turned into reality so quickly. - Video adapter with a resolution of 1360x768 (1920x1080 is recommended) with True Color color palette and DirectX 9 support (DirectX 11 is recommended). On the 64-bit editions of Windows 10, resolutions up to 3840x2160 are supported. - A workspace scaling of 125% (120 dpi) or less is recommended.